The TapInfluence Product and Engineering Team has been at it again, and we’re excited to share the following new product updates in the TapInfluence platform! We all know influencer content is evergreen – especially blog posts that tend to garner engagement for years after their initial publish dates. But most marketers still only measure blog performance over a short period of time as they would with a typical media campaign. 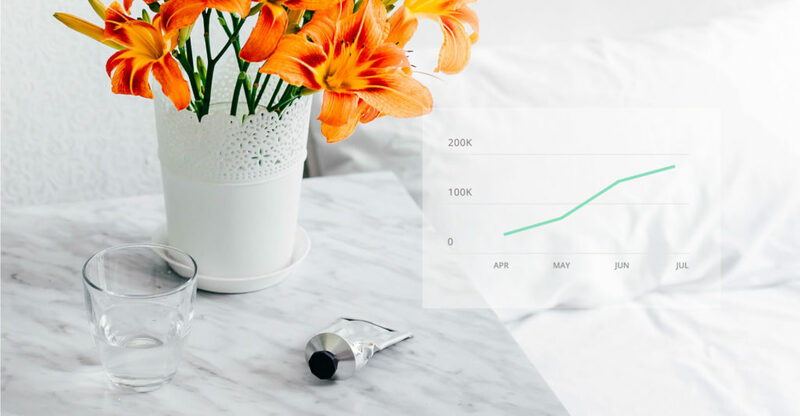 Tap wanted to make it easier for marketers to see how blog posts performed overtime and to easily spot time-based trends in performance. Now, in the Analytics tab under Views, you can see how blog views change day by day. If your assignment was created after October 9th, 2017, then you will see time series data for blog views in your analytics tab! 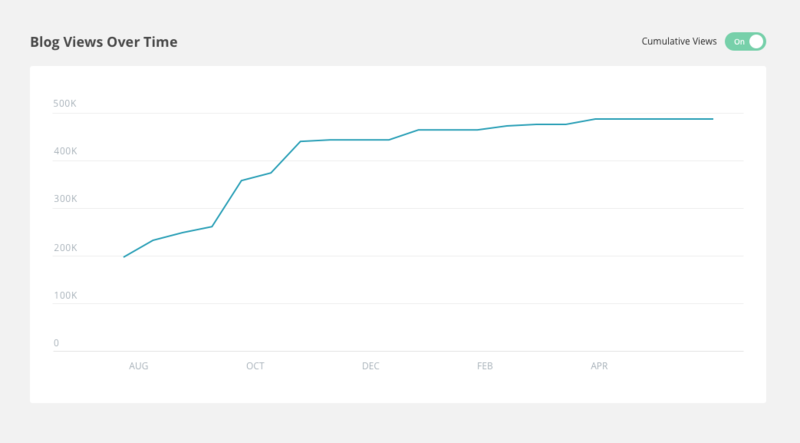 Tap is lucky enough to partner with more than 75,000 opt-in influencers. However, after our data team did some analysis, we found that not all of our great creators were appearing in search as readily as they should. This also meant that our marketers weren’t being exposed to all the influencers that might be a great fit for their brands. To remedy this, we enhanced our algorithm so marketers can more readily find the perfect influencers for their campaigns. Give our new search a try! 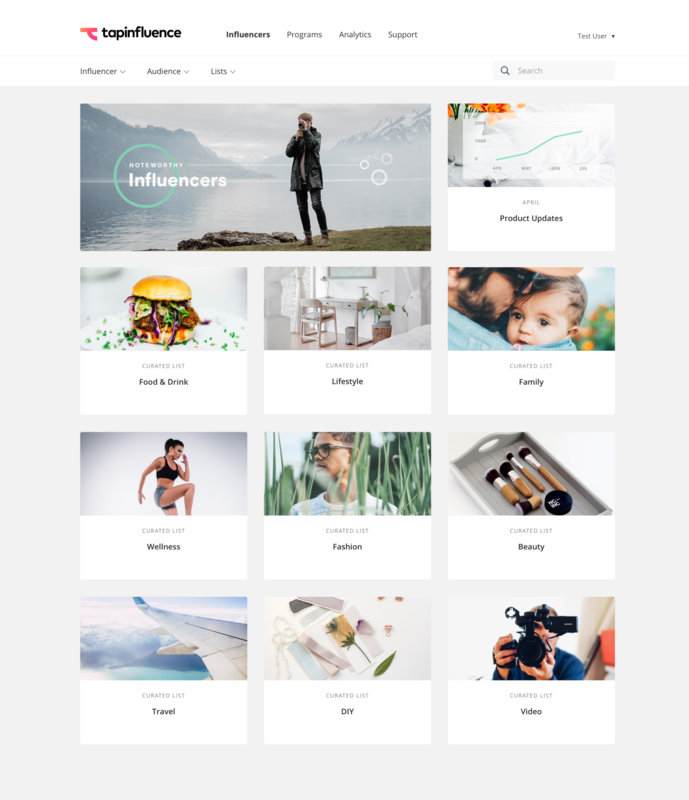 Our strategy team has hand curated a series of new influencer lists in our Discovery dashboard based on popular search topics and categories. In these lists, we’ve included many influencers who are new to Tap, so we hope you’ll take some time to learn about these great creators who could make wonderful ambassadors for your brand. In our last product release, we announced the ability for users to create private notes on influencer profiles to share learnings across their teams. 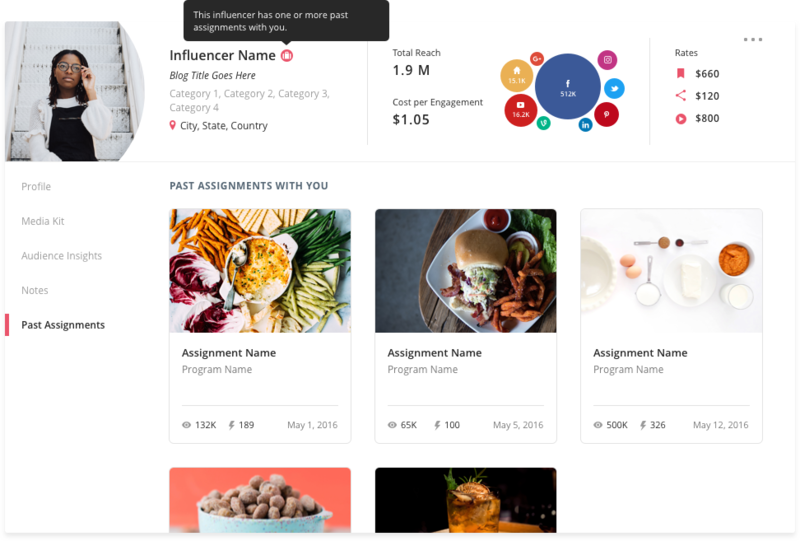 Now, an influencer’s profile also shows the past assignments that influencer has participated in for that particular customer account. This way, with one click, marketers can see their past relationship with an influencer, the influencer lists that influencer is a part of, and the team’s notes about that influencer! This is part of our effort to make Tap an even more comprehensive CRM for all your influencer practice.